Mobile bills piling up? Just unhappy with the current service you are getting from your current provider? These are all questions we have run into, and Sprint seems to have the answer to our questions; their new Sprint Family Share Pack! It is by far the best deal in data. They are doubling up on the data and really giving their competitors a run for their money. Whether you have 2 or up to 10 people in your family Sprint is offering 20GB (yes TWENTY) of Shared Data with unlimited talk and text minutes for the low price of only $100 a month. This is probably one of the best things to happen to the mobile data market in a long time, and this new plan really allows families to save money, but still get all the data they need! This is an excellent push for Sprint, which has been making some really customer-driven packages and offers recently. They are by far the most hospitable and honest carrier in the marketplace and seem to be ramping up thier kindness to the consumers. This new plan will save Families all over the U.S. a ton of money, yet not restrict their talk, text or data. Kudos to Sprint! A typical family of four people would save at least $60 per month, but they don’t limit how many lines you could have the the savings could be a lot higher! One thing that Sprint wants to be very clear about is that whether it’s 3,5, or 10 people you will get 20 GB of Data and your bill will not go above the $100. It’s about time that a mobile carrier steps up and offers some savings back to the people. 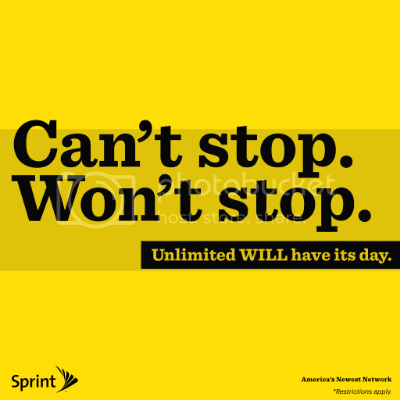 After recently being duped my my carrier, i can assure you i will be making my move over to Sprint ASAP! To get involved on twitter be sure to use the #ItsANewDayForData hashtag! For More Information, be sure to visit the official site for the new Family Share Pack.